PRO-LOVE · United to Promote LOVE! 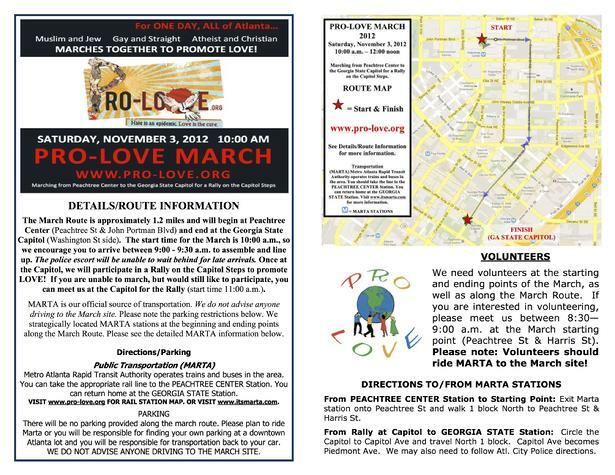 Click Here for Pro-Love March 2012 Details! Click image below for a PRINTABLE version of this flyer. a Free Download and follow the instructions on the screen, or email us at info@pro-love.org. Website sponsored by Spirit and Truth Sanctuary (formerly Cathedral of the Holy Spirit). For more information visit www.mytruthsanctuary.com. © Copyright 2007-2012. All rights reserved.